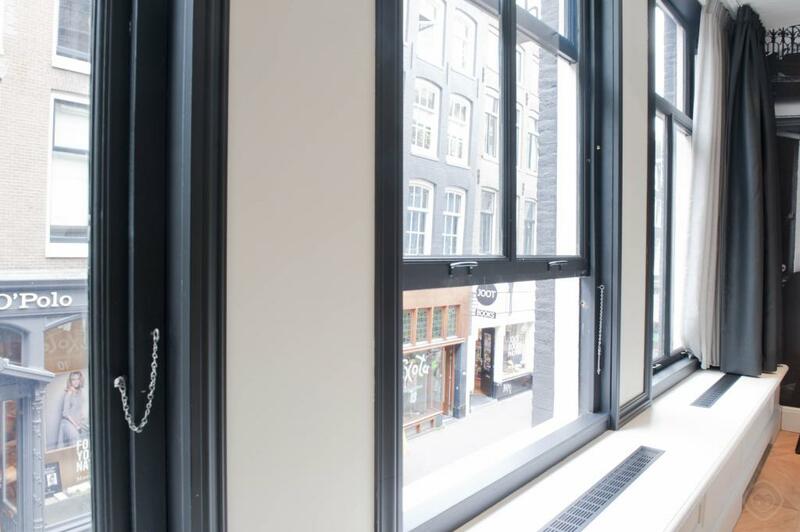 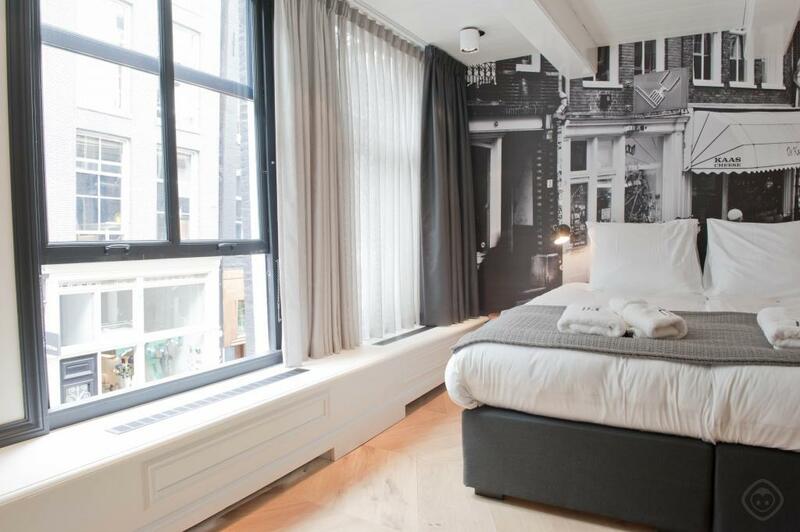 The hotel combines instant access to Dam Square with a rewarding neighbourhood bustling with cafes, boutiques, restaurants and galleries. 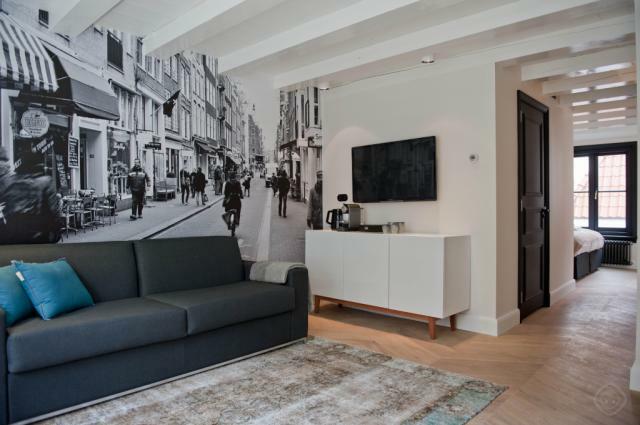 Boasting a beautiful interior and incorporating the themes of the Nine Streets, the suite includes wooden floors, ceiling beams, an exposed stone wall and modern furnishings. 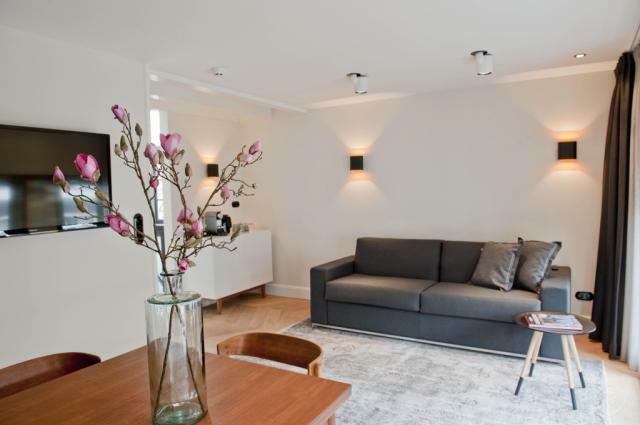 The central space is flooded with natural light and comes equipped with a flatscreen TV, a desk and chair, a cosy rug and contemporary light fixtures. 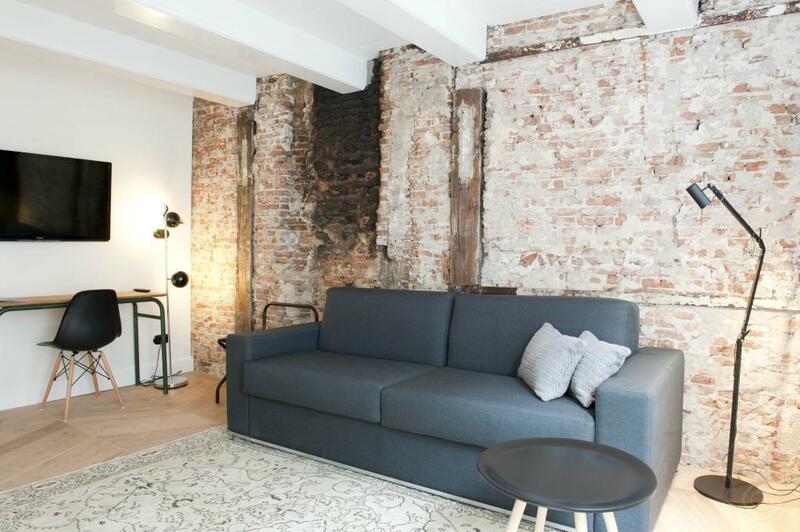 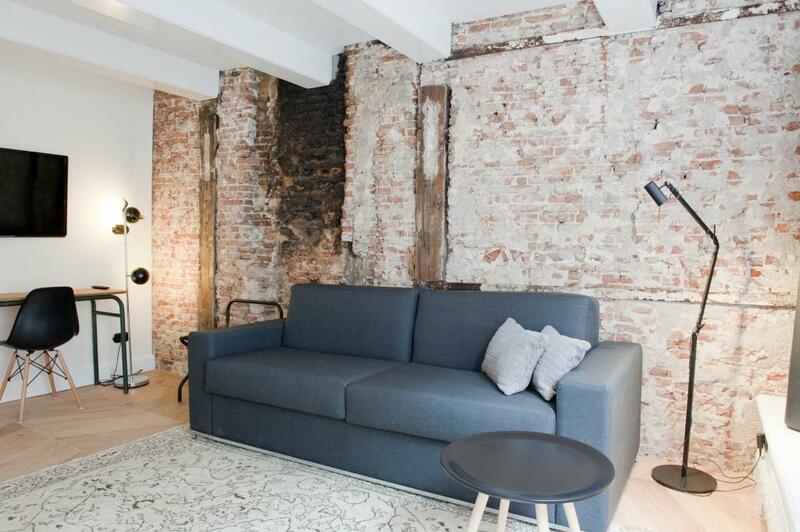 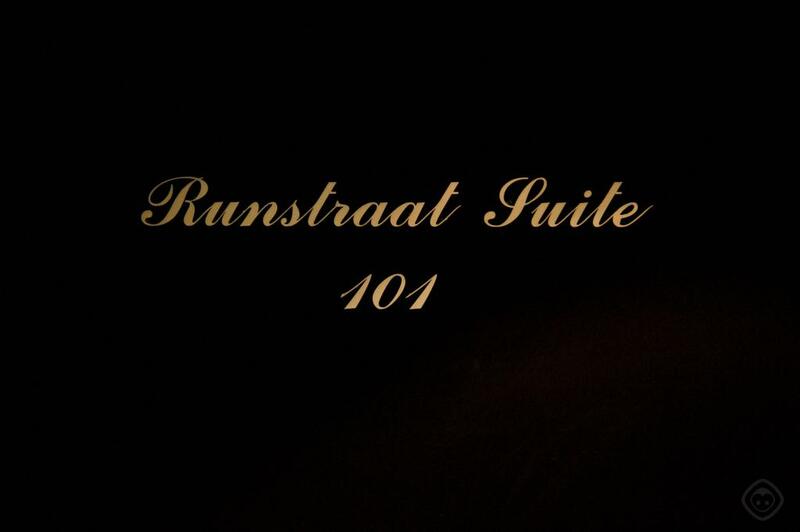 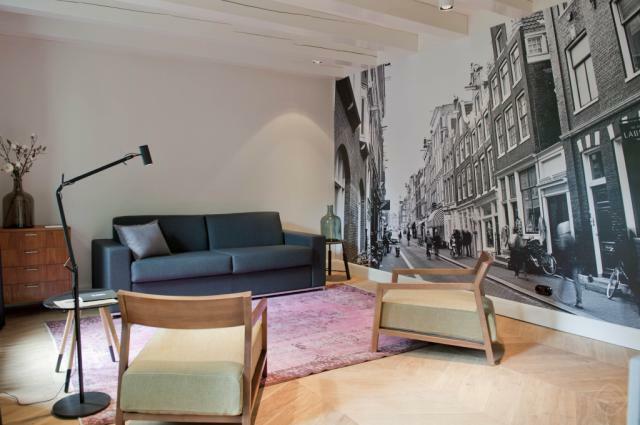 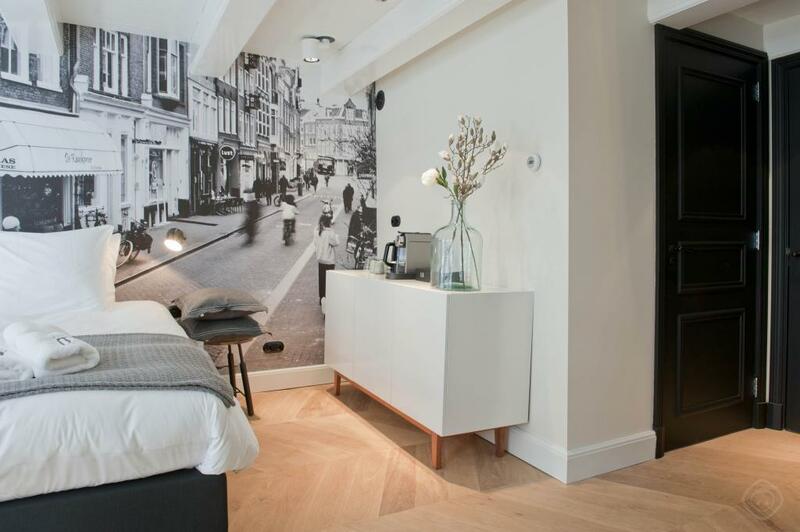 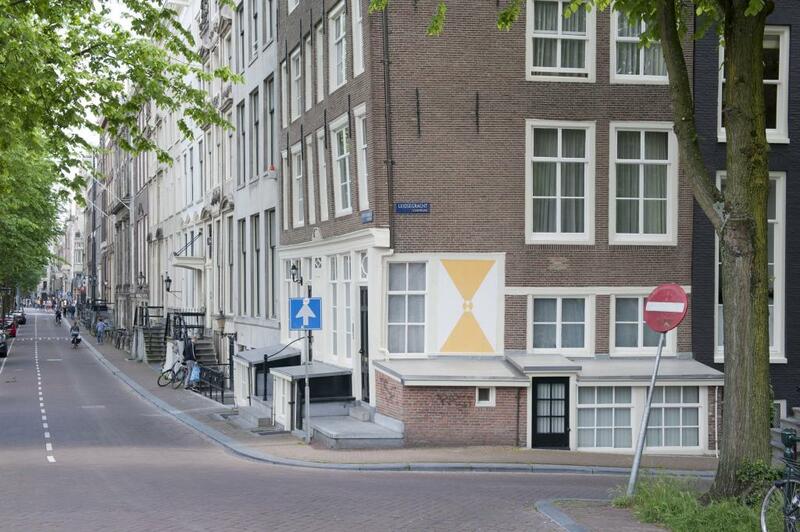 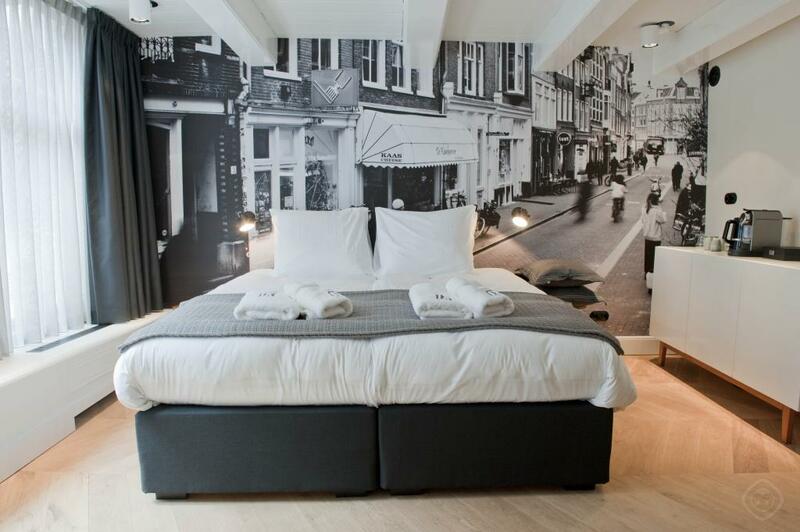 The double bed rests against an impressive wall printed with a full length image of the historic Runstraat. 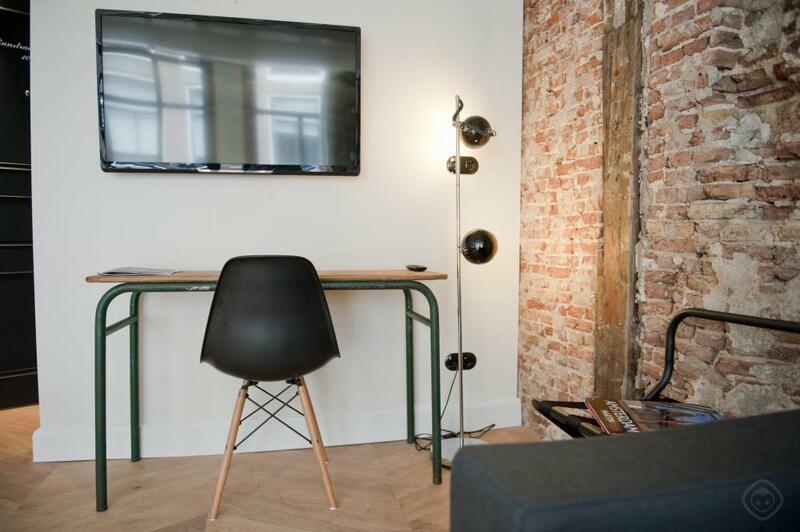 A fully stocked fridge is available for you free of charge, and a coffee machine and Wi-Fi internet are also provided. 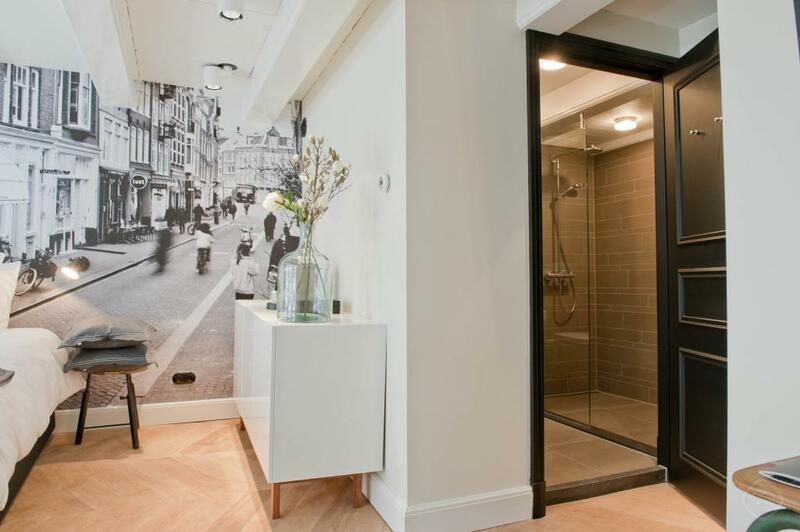 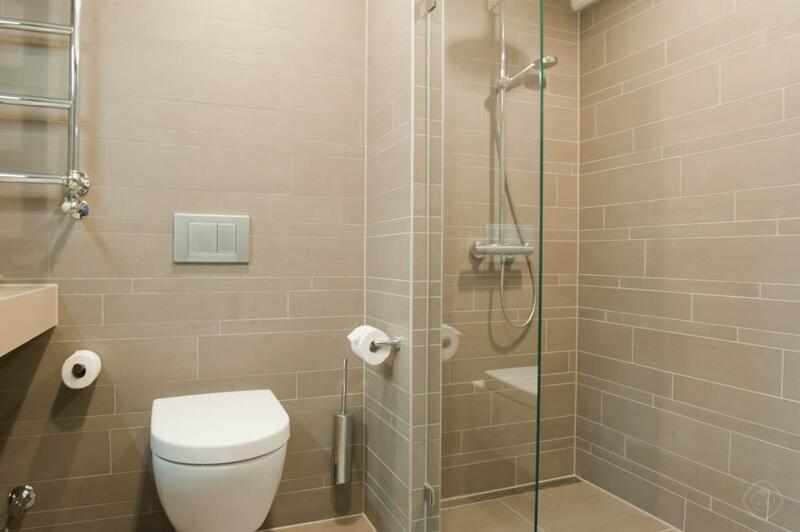 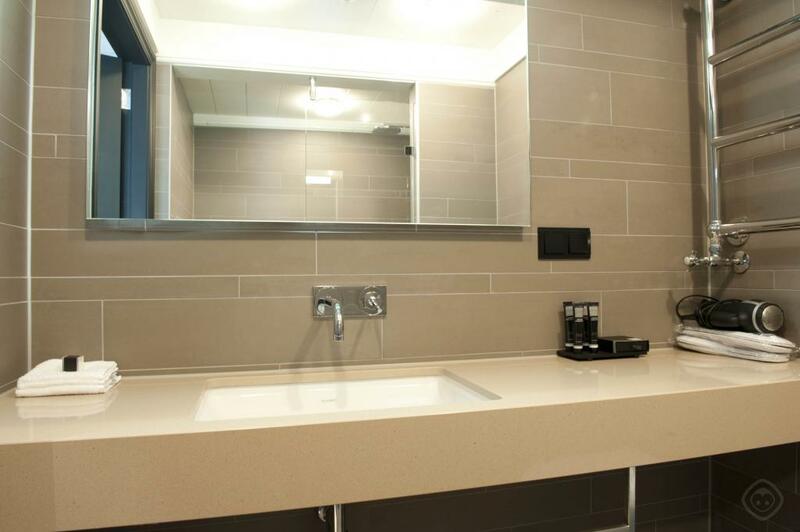 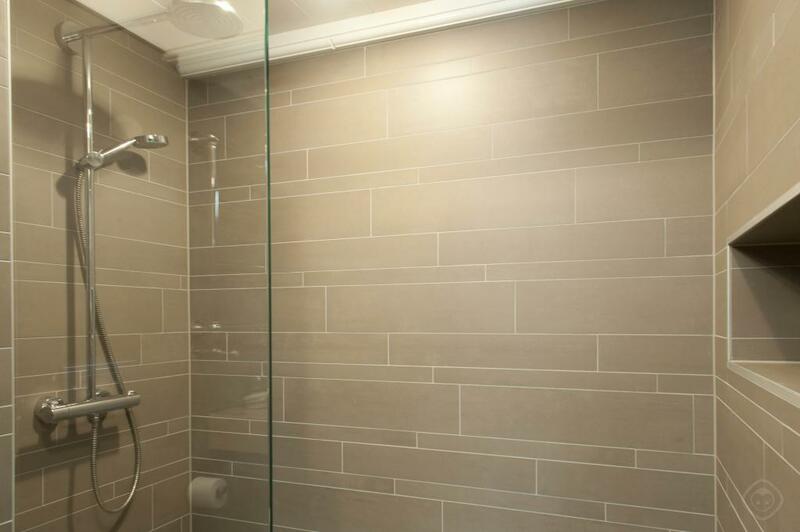 The bathroom completes this fashionable holiday home with a shower, toilet, washbasin, shampoo, conditioner, shower gel, and body and hand lotion. 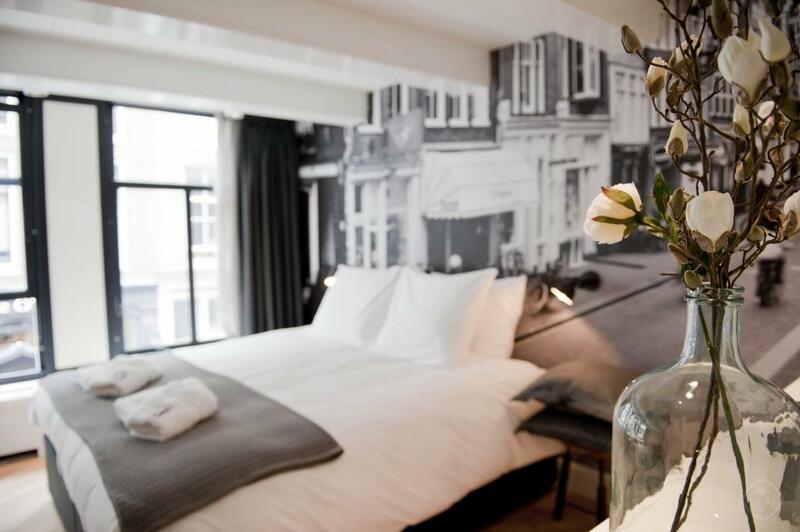 Perfect for a small family or two couples, the accommodation ensures a memorable Dutch experience in the heart of Amsterdam. 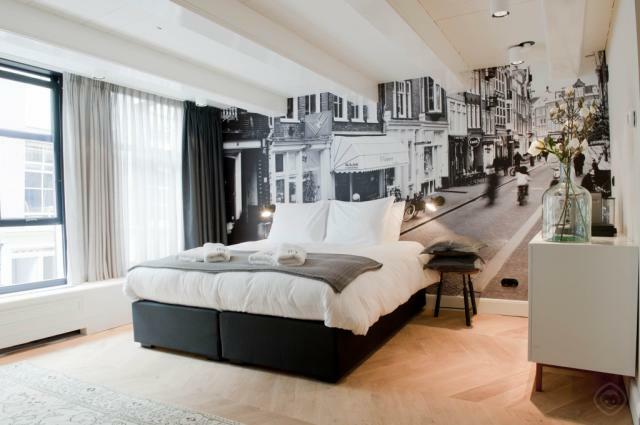 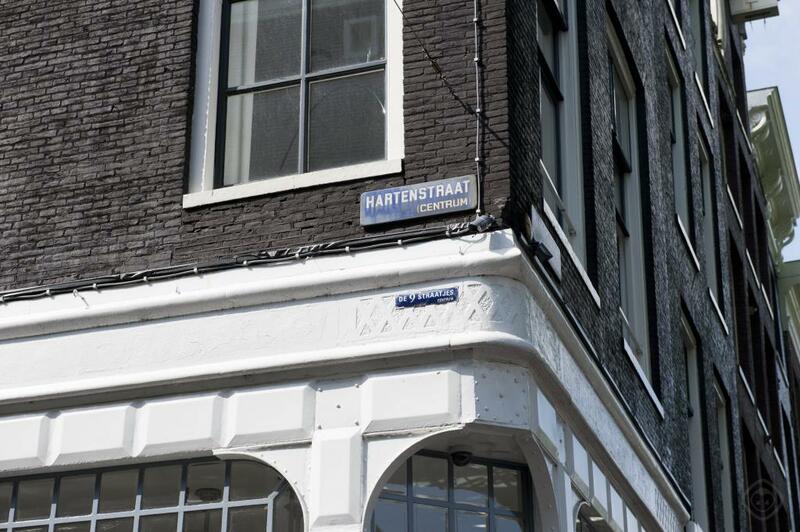 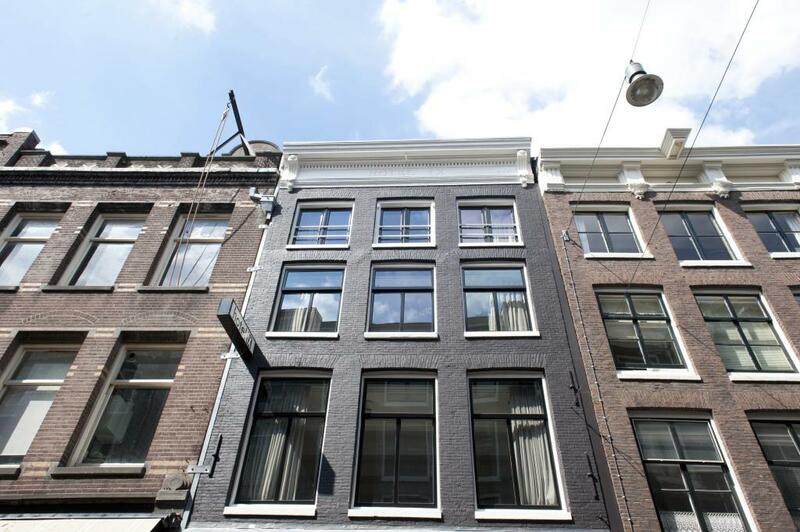 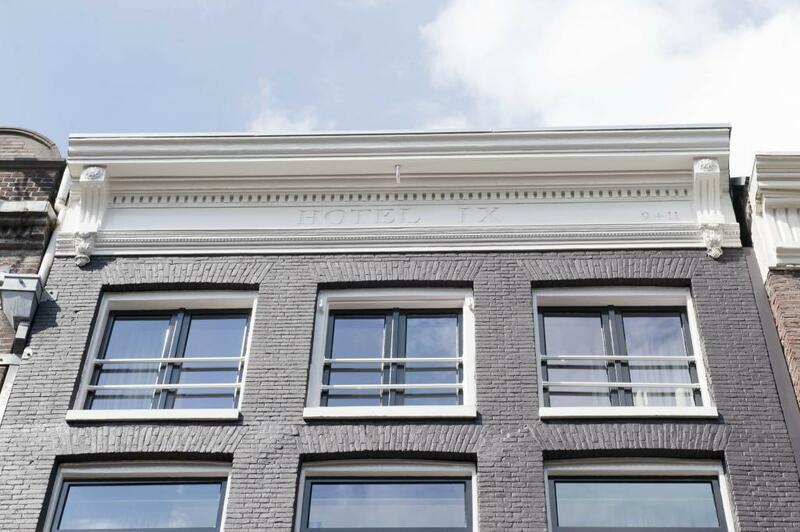 This Amsterdam hotel can be found in one of the capitalﾒs most adored neighbourhoods, the Nine Streets or Negen Straatjes. 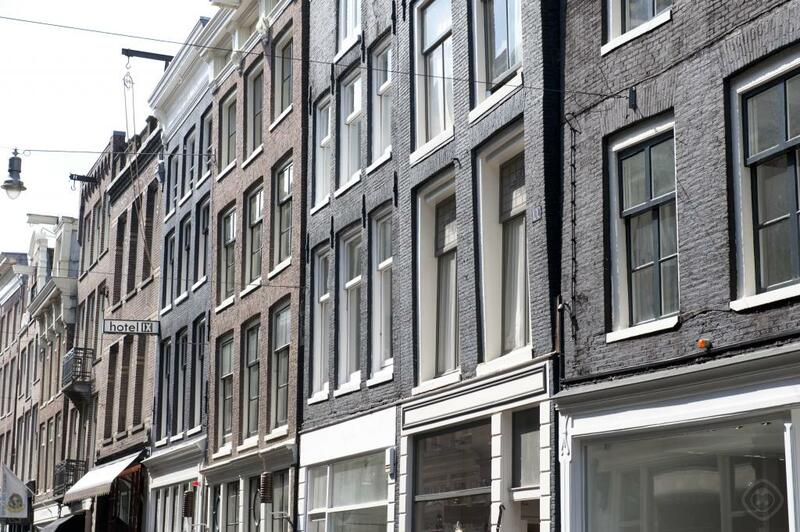 Cutting across four major canals, this atmospheric quarter consists of nine avenues, each exuding a welcoming vibe and hosting a range of cosy establishments. 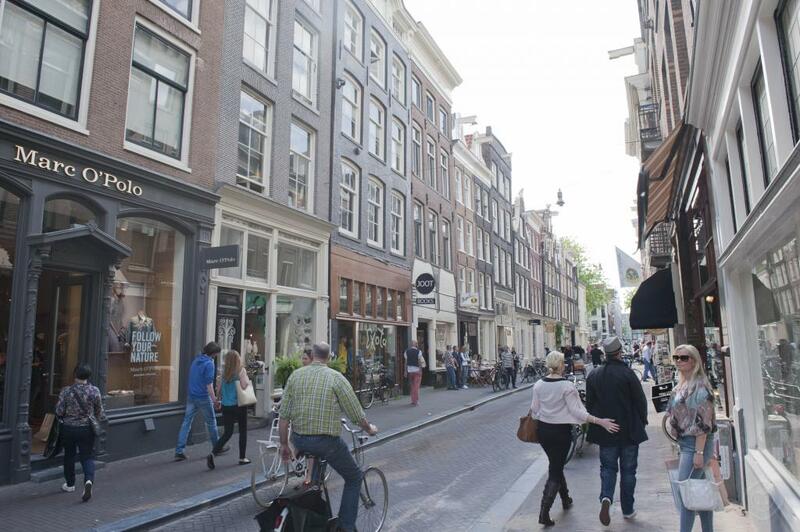 From second hand stores to chic boutiques, the district is regarded as the premier location for shopping in the city and offers a variety of restaurants, bars and cafes to indulge in after a busy day exploring the sights. 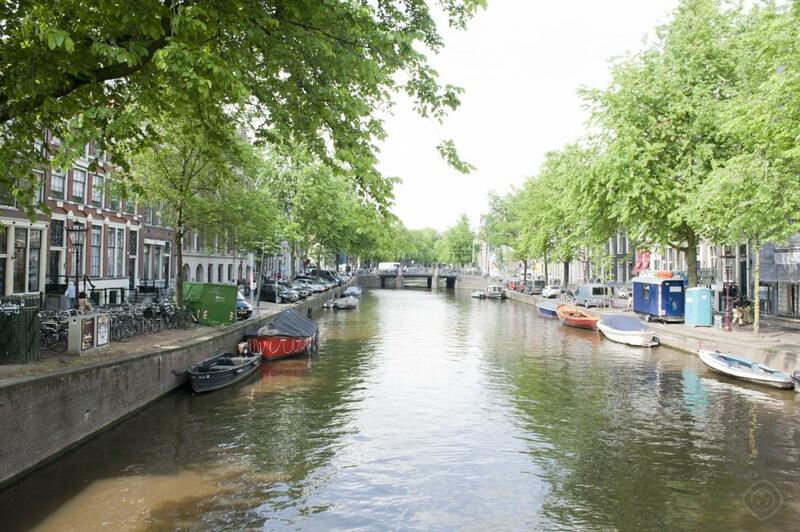 The breathtaking Canal Belt is on your doorstep, providing a picturesque locale to discover on foot, by bike or especially by boat, with ample cruises departing from different stops across the capital. 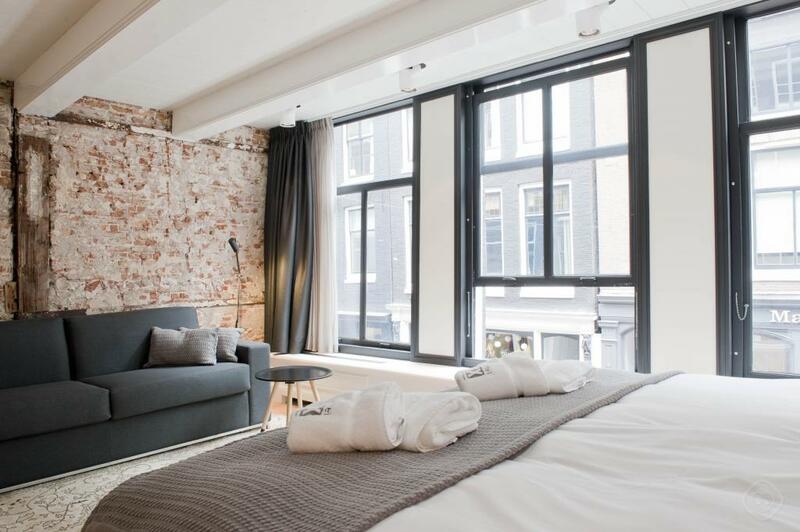 Cultural venues are also close at hand, with nearby options including the ever popular Anne Frank House, the unique Museum of Spectacles and the magnificent New Church, which resides upon Amsterdam's iconic Dam Square. 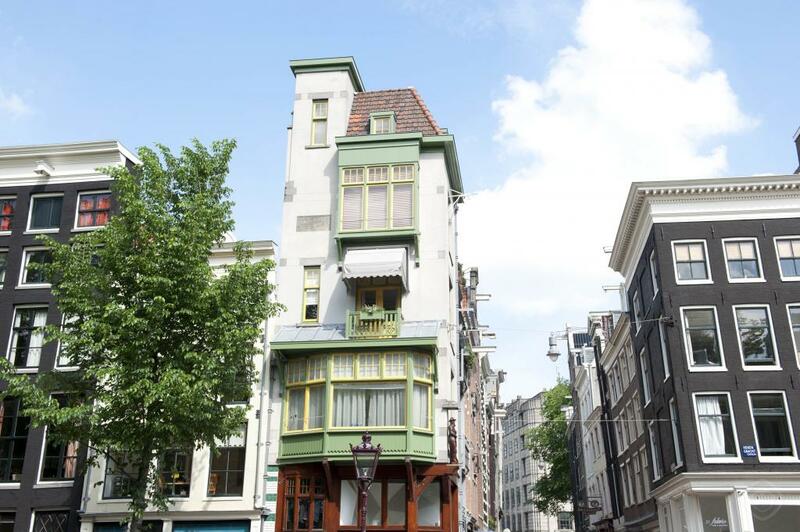 Reachable through a five minute stroll, this animated plaza is also home to the neoclassical Royal Palace, the chic Bijenkorf department store and the towering National Monument.